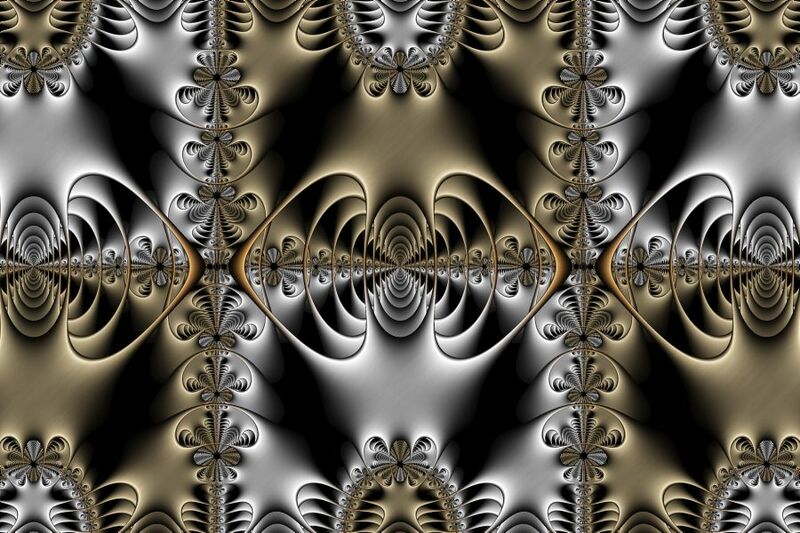 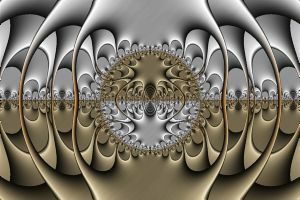 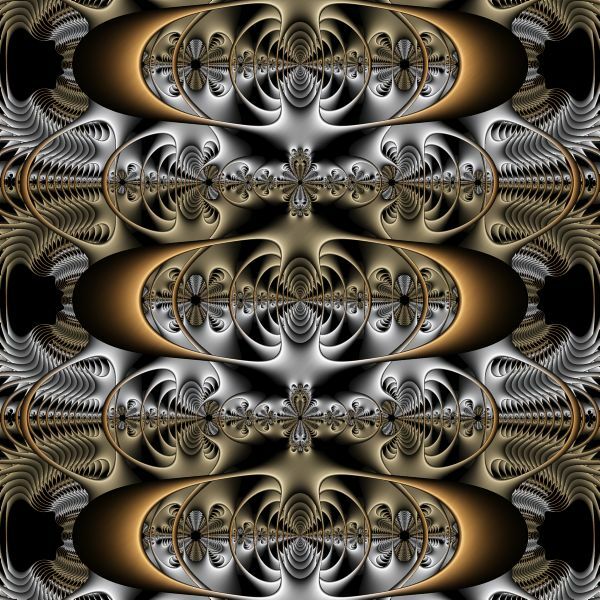 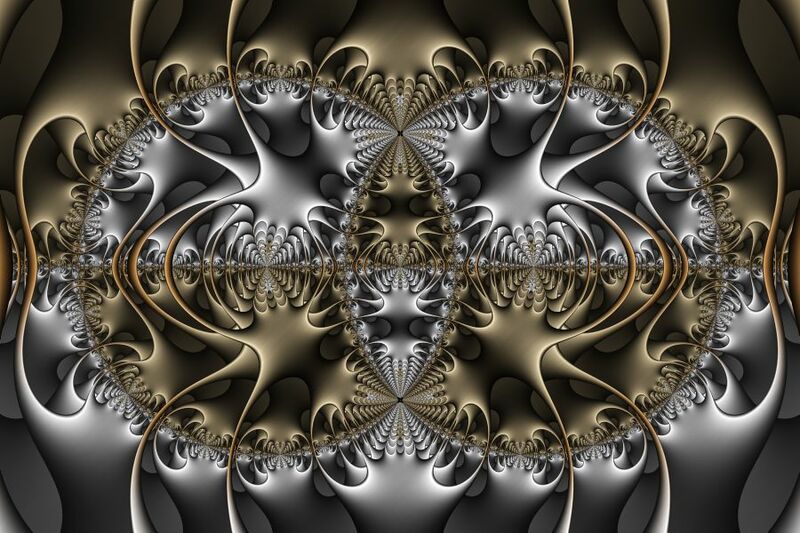 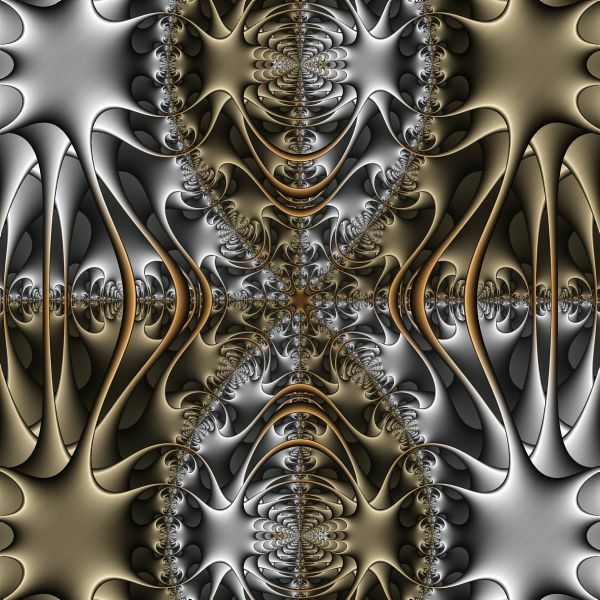 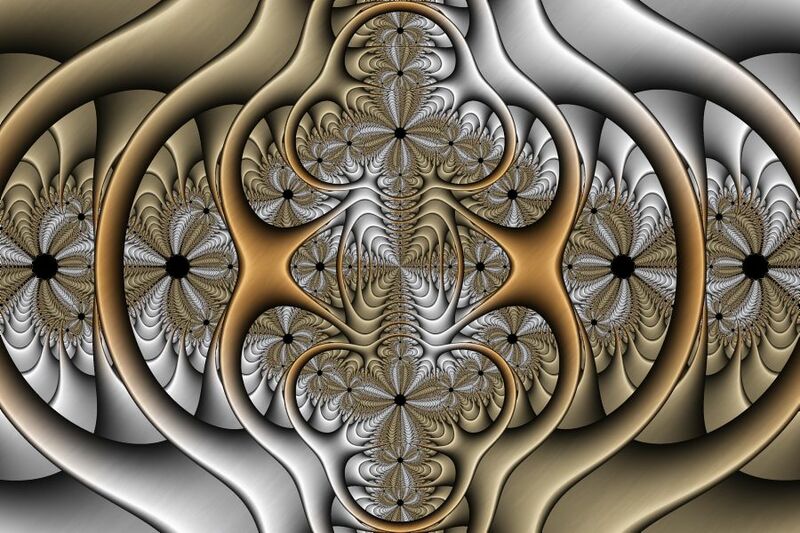 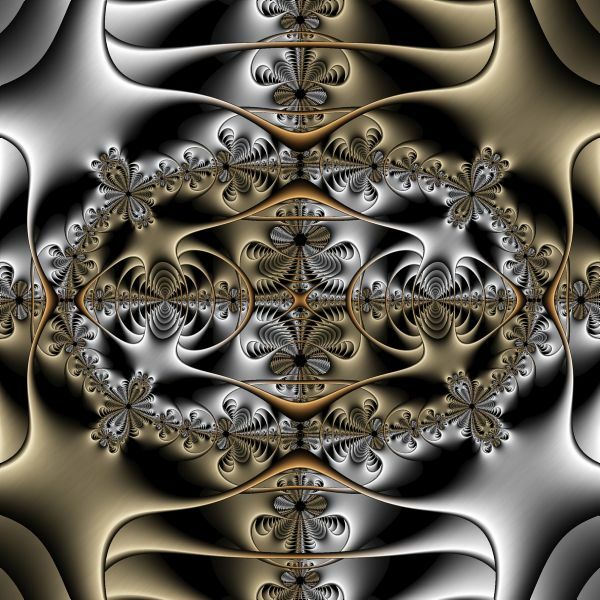 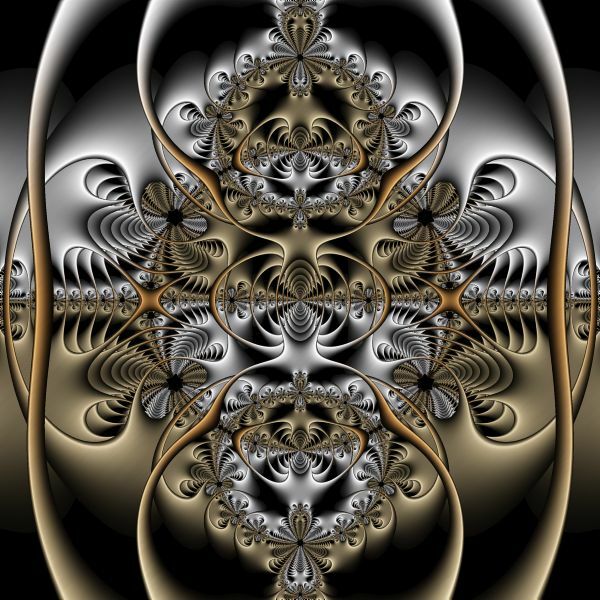 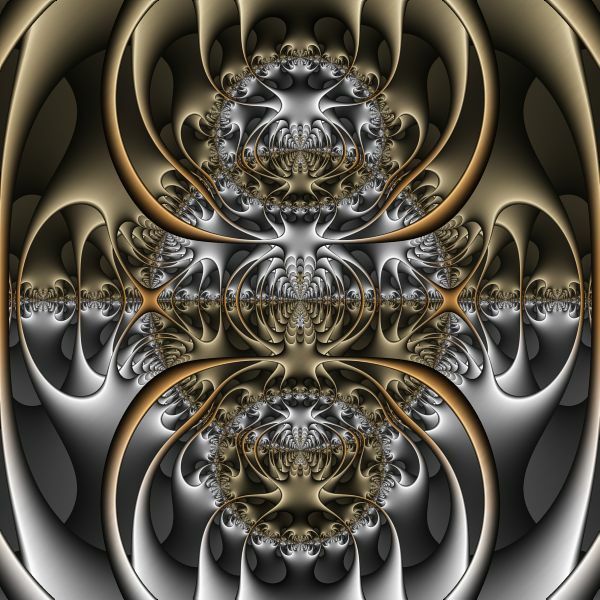 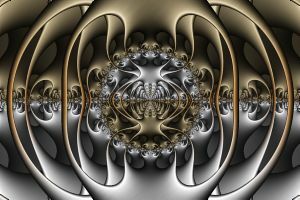 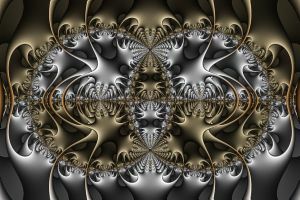 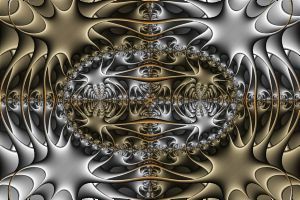 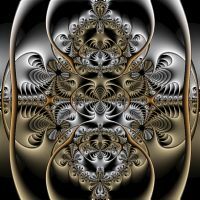 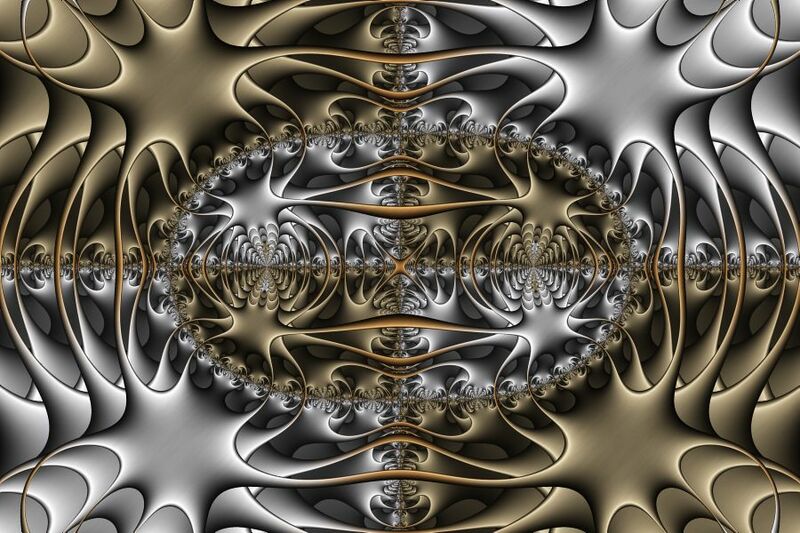 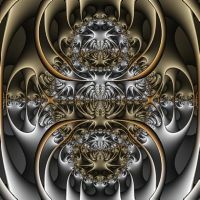 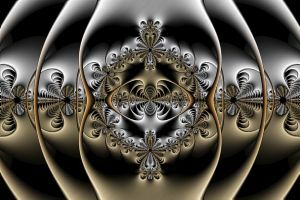 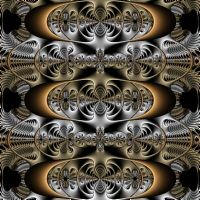 The Pewter and Brass examples apply a Circle Orbit Trap to a Newton Fractal based on the equation Carlson - Newton 2. The coloring is achieved by mapping the trapped point's angle into a gradient to select the color. 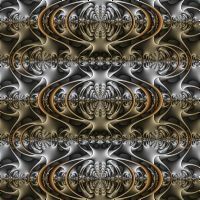 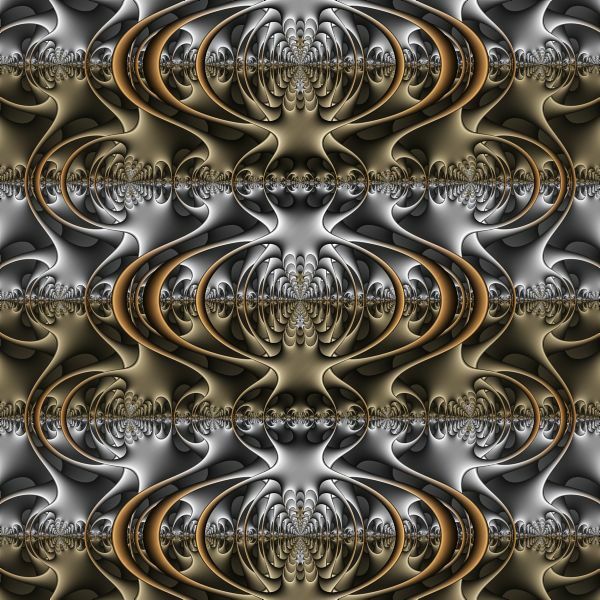 Then the color is blended with a Perlin noise based pattern to give it a brushed metal quality.